I amwriting this letter on behalf of Kate and The Dog Spot Rescue. OnFebruary 12,2009, we adopted an adorable one year old Corgi mixed namedSunDance from the Dog Spot, and we are glad we did! Rather than purchasea purebred dog, we wanted to provide a home to a dog who really neededone. 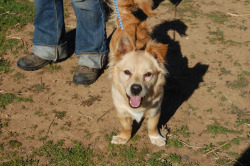 We found SunDance through PetFinder.com. We contacted The Dog Spotand made an appointment to meet with Melissa, a volunteer, and to getacquainted with SunDance. After an interview with Melissa and time tointeract with SunDance, we were in love, and it was clear that SunDancewas a perfect dog for my family. SunDancehad been well taken care of by The Dog Spot Rescue. He washappy,well-adusted and well fed. He had a shiny, healthy coat and lotsof energy. There were a number of dogs at The Dog Spot when we visited,and it was clear that they were all receiving the loving care andattention they needed from the rescue until a home could be found. TheDog Spot provided us with SunDance's medical records, which showed hehad received all necessary examinations and shots, and that he had beenaltered. The $300 suggested donation helped cover all medical and othercosts for the dogs at the rescue, which I would say was a bargain. 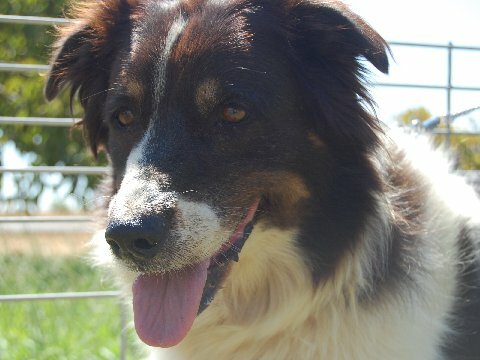 Had itnot been for The Dog Spot, our wonderful dog (who we now callMarty)would surely have been euthanized. Allowing this to happen to sucha wnderful dog would have been a reall tragedy. I believewhole-heartedly that The Dog Spot is doing all it can to find loving,forever homes for dogs in need.